I was really looking forward to finishing up my afghan this weekend, but I ran out of yarn! A crocheting nightmare! But at least it still looks pretty good in the meantime. 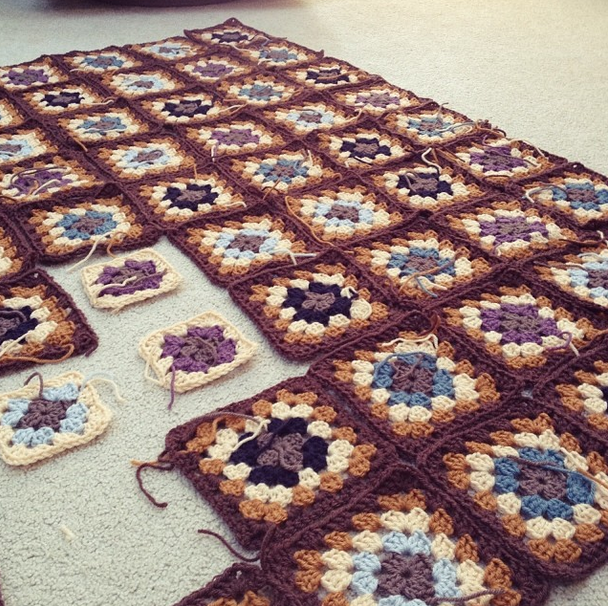 This entry was posted in Make and tagged afghan, crochet, granny square, project, sew, work in progress on November 25, 2013 by Chelsea.